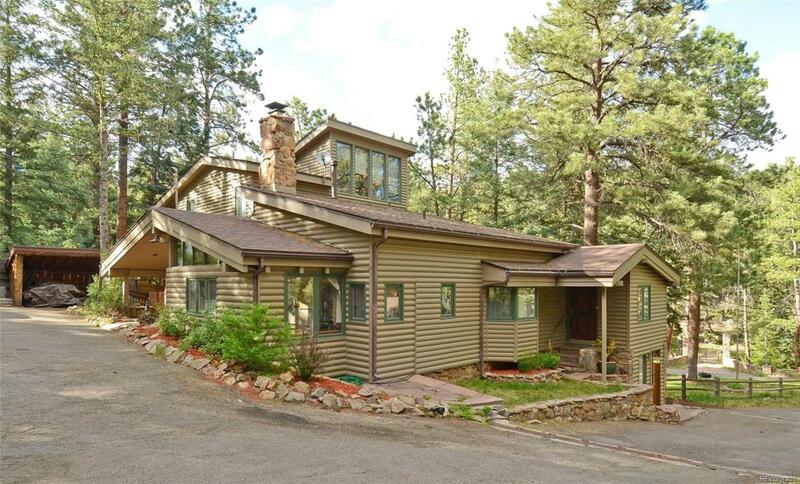 This is your opportunity to purchase an enchanting mountain retreat on a coveted stretch of Upper Bear Creek in Evergreen. 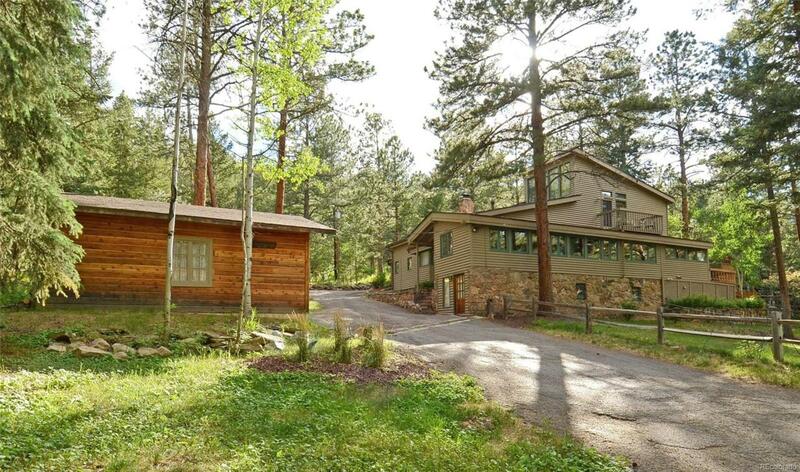 "Greenhaven is an elegant and rustic home built in 1934 and has access to 150 private feet of creek frontage. Enjoy views of the creek from the kitchen, dining room, master bedroom and balcony. Old World charm enhanced with modern and updated amenities: newly refinished 12" pine wood floors, large gourmet kitchen with granite counters, double ovens, and an induction cooktop. The master suite features vaulted ceilings, large windows, 2 closets and views of the yard and the creek. The interior boasts original wood beams accentuated by a natural stone/quartz fireplace. Two storage sheds are included which could be used as a studio, office or playhouse. Walk through a gate to fly fish and listen to the creek. 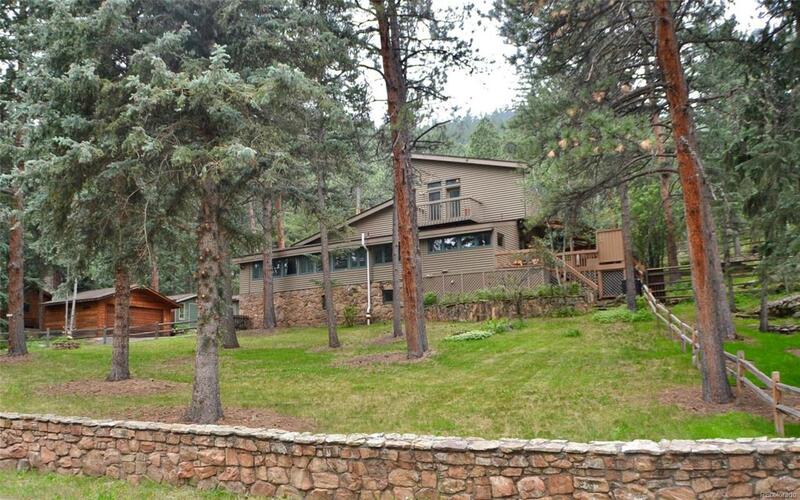 Close to a golf course, restaurants, Evergreen Lakehouse, shopping, hiking and mtn. biking trails! 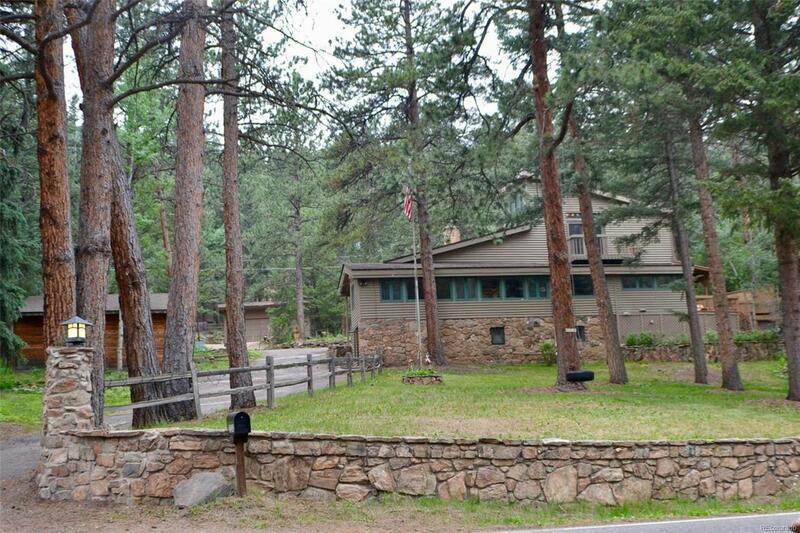 Access home via the private driveway or from Glen Eyrie Rd.